I still remember the day that I discovered Kathe Kruse dolls. I was at a trade show and stumbled upon the stand. There in front of me were the most beautiful dolls I had ever seen in many different shapes and sizes, so beautifully dressed in such high quality clothes – I was completely bowled over. The agent on the stand was very pleased to hear my enthusiasm as she had heard so many people say that day, that the dolls were too expensive and would never sell. At the time I suppose they did seem expensive compared to all the doll ranges Petalina already held that had been made more cheaply in China, but here were dolls made to an incredibly high standard in Germany. Of course they would sell! In fact, now that manufacturing in China has become more expensive, the cheaper ‘made in China dolls’ are actually not much cheaper at all. Six years later Käthe Kruse is one of Petalina’s most popular manufacturers. Once a customer has seen and held a Käthe Kruse doll in their hands other brands just won’t do. This is an example of the fine work still carried out by the Käthe Kruse factory today. The doll pictured is Mini Minouche Dita. She is a tiny, soft bodied doll (27cm/10.5″) for children from 18 months old. 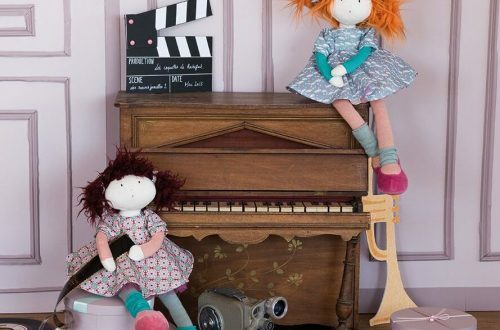 The Minouche dolls have been designed in collaboration with Sylvia Natterer, a well known doll designer. This tiny doll is exquisite in every detail. From her pretty face, to her painted hair with curls on her forehead, to the beautifully made outfit using such high quality materials, Kathe Kruse dolls are worth every penny, and Mini Minouche Dita isn’t expensive at £57.99. The price includes a matching carry cot, perfect for little hands. Käthe Kruse first started to make dolls for her daughters in 1905. Her daughter Mimerle wanted a doll just like a real baby so she could mother it. Her father, the famous sculptor Max Kruse, went into Berlin to see what the shops had to offer. All he saw were hard porcelain dolls and realised that they would not satisfy his daughter who wanted to cuddle and care for her doll. He returned home and suggested to his wife Käthe that she make a doll instead. Käthe set about making a doll that was soft, warm and cuddly. She used a soft towel and inside it placed a potato as a head and sand to fill the body. Mimerle fell for her doll and played with her for days until the sand started to fall out and the potato became a little smelly. 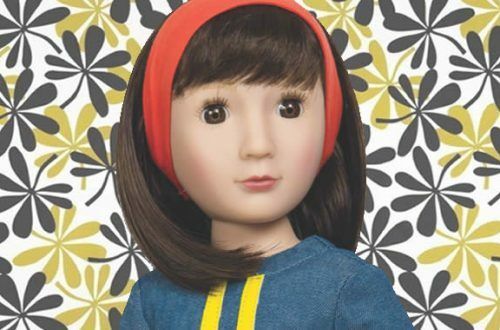 Inspired by her success Käthe Kruse decided to develop her doll making skills. 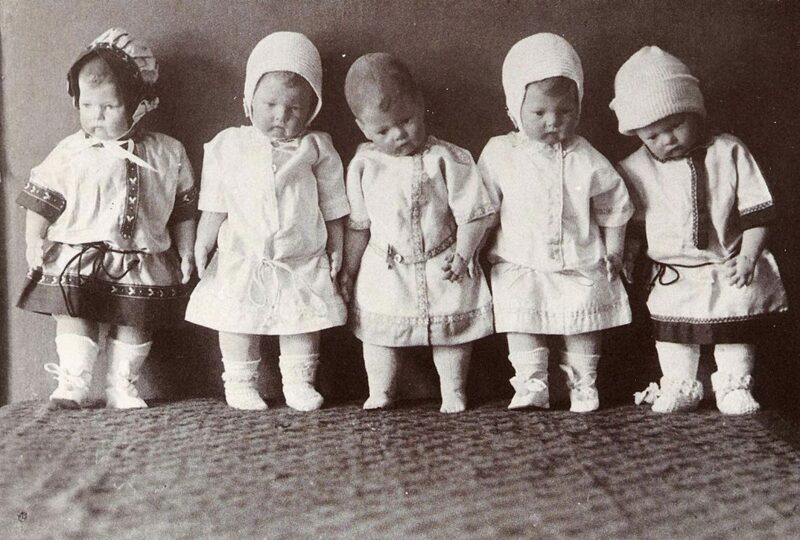 Word spread that a young mother in Berlin was making dolls and in 1910 Käthe Kruse was asked to exhibit her dolls in one of Berlin’s department stores. The dolls were highly praised because her dolls were babies and children rather than adults, so they could be a child’s friend rather than a role model. Käthe became famous overnight! The first order for 150 dolls was placed in 1911 as a result of the exhibition, by a representative of the world renowned FAO Schwarz store in New York. Käthe Kruse was taken aback by the order because she didn’t have a workshop and just made dolls at home. She decided to hire a painter for the faces and a seamstress to help make bodies and clothing and set to making 150 dolls for New York. It took a few weeks of working day and night but the order arrived on time in New York. A further order for 500 Kathe Kruse dolls quickly followed. Aware that she couldn’t make this number of dolls in her living room Käthe gave a manufacturing license to a commercial doll manufacturer but soon decided to open her own factory in Bad Kosen, Germany. 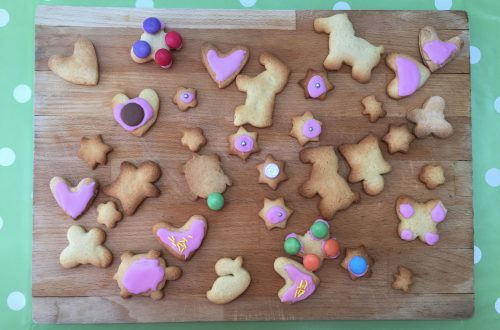 And this was just the beginning…….